Jack Mullen had planned to be a history teacher when he returned from World War II, but instead shared his passion for history with his own young sons. The Mullen’s were acquainted with Leroy Funk who owned and farmed a portion of the land now referred to as the Strickler site (36La3). In the late 1960’s Jack and his sons would visit the site collecting artifacts unearthed as Mr. Funk plowed. Unfortunately, there are no detailed notes about the provenience or discovery location of these artifacts other than the Funk portion of the Strickler site. This activity was an opportunity for the children to form fond memories with their father as they learned about the area’s previous inhabitants. The Pennsylvania Historical Commission (precursor to the Pennsylvania Historical and Museum Commission, PHMC) began an investigation at the Strickler site in 1931 under the direction of Donald Cadzow, then the State Anthropologist/Archaeologist. 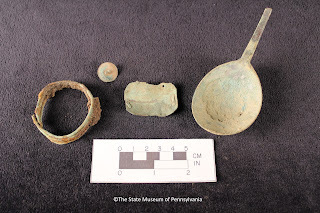 Since then a number of excavations have taken place by “curio collectors”, Society for Pennsylvania Archaeology (SPA) members and professional archaeologists. In 1967 Pennsylvania Power and Light Company became interested in purchasing a large swath of land that included the Strickler site. Their intended activities would eventually destroy the site. 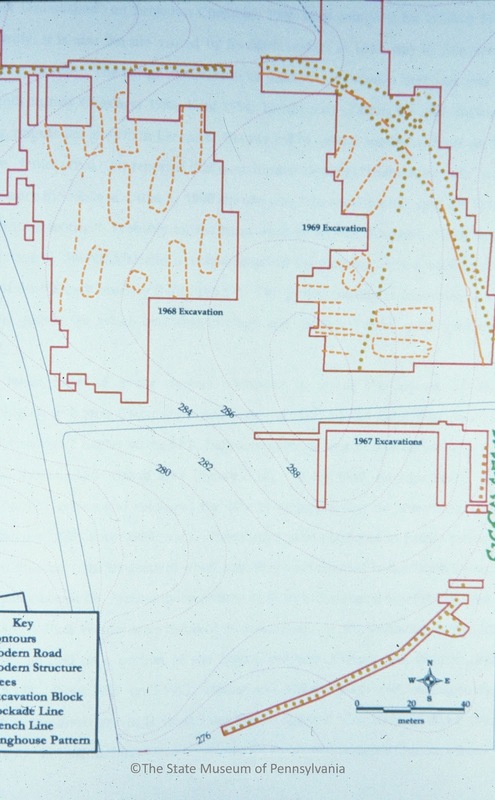 A mitigation plan to fully investigate and excavate the site prior to its destruction was developed and implemented in 1968, 1969 and 1974. 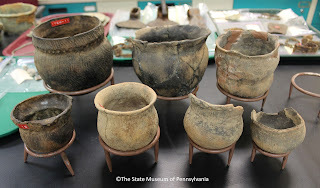 These excavations and the culture history of the Susquehannock Indians are discussed in detail in Barry C. Kent’s book Susquehanna’s Indians. 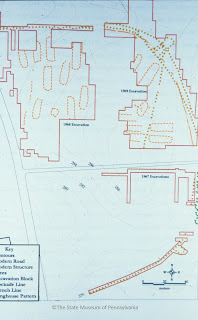 The Strickler site is the largest of the Susquehannock sites encompassing over 10 acres within its stockade, which exhibited European style bastions on at least two of its corners. The competition over the fur trade with the Iroquois to the north and the English in Maryland made this a contentious time; and at least once, in 1663, Strickler was attacked by more than 800 Iroquois. The increased interactions with Europeans led to an increased dependence on their trade goods as they gradually began to replace native made items leading to a decline in native craftsmanship. By 1665 sickness and warfare had shrunk the population significantly, the fields and woodlots were exhausted and it was time to move on to establish a new village. It is this site where the Mullen’s recovered these significant artifacts exemplifying a time when cultures were colliding mixing old native ways and ideas with “new” European concepts in an effort to adapt and survive. All of these artifacts and more were graciously donated by the Mullen family to The State Museum of Pennsylvania where they can be preserved and studied. 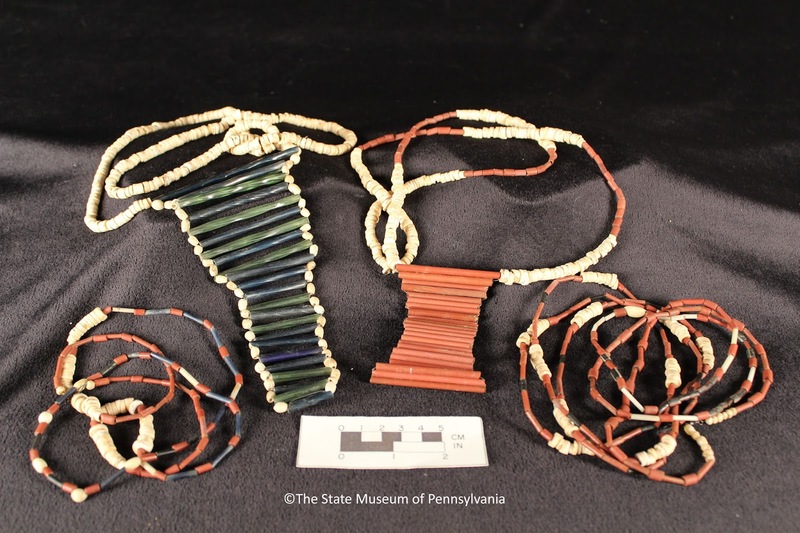 This collection also complements and enhances our existing collection from the Strickler site. 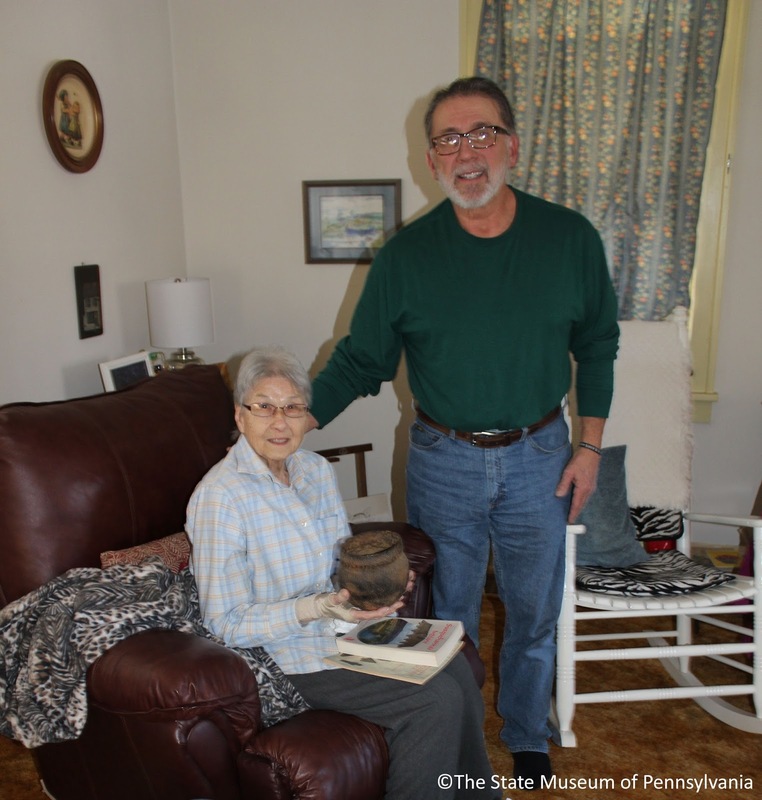 These privately held collections can contribute significantly to our understanding of the past and we appreciate and acknowledge their contribution to our archaeological heritage. If you have a similar collection that you wish to donate please contact the staff of our Section to make donation arrangements. 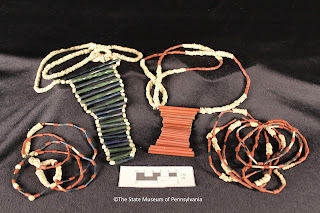 If you would like to learn more about this site, or any of the Susquehannock sites please see Barry Kent’s Susquehanna’s Indians or peruse past TWIPA blogs for more information. President’s Day is approaching, and in honor of this important national holiday, we will focus on examples an American symbol of patriotism, the Great Seal of the United States, that have been found at archaeological sites. Created originally to honor George Washington’s birthday, we now recognize all of our nation’s leaders on this day which will be Monday, February 15th. Pennsylvania has always played an important role in the development of our nation and those of you who follow our blog have read of our involvement in the French & Indian War and the Revolutionary War. The signing of the Declaration of Independence in Philadelphia in 1776 was viewed as a “united” declaration of freedom from British rule and a first in coming together for the original 13 colonies. It took an additional six years and three committees for the nation to agree on the design of the Great Seal. The key component of the seal is the eagle. The eagle has symbolized strength and power for thousands of years, dating back to Greek mythology and biblical references. 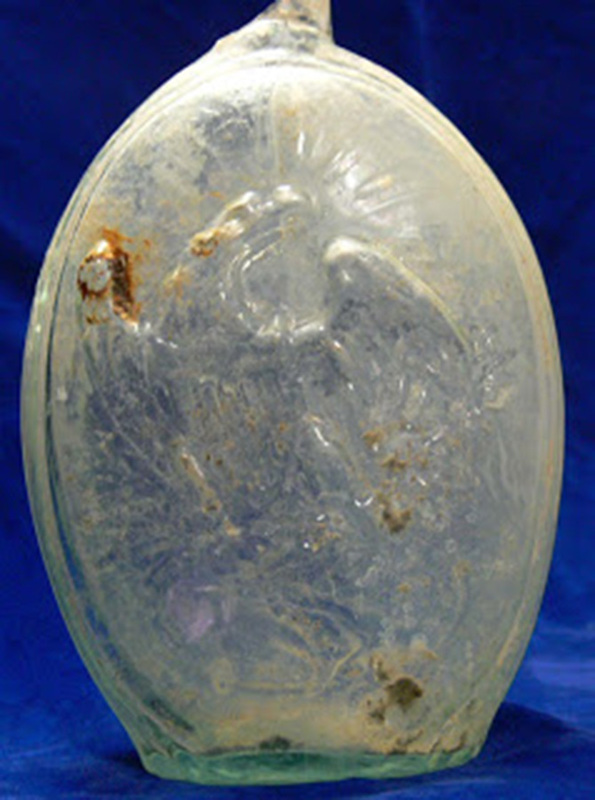 The use of the American bald eagle identified it as uniquely our own. On its breast is a shield marked with thirteen vertical red and white stripes topped by a bar of blue. The original design was created by Charles Thomson, an immigrant to Pennsylvania from Ireland who later served as Secretary of the Continental Congress. Thomson was an important political figure and a strong proponent for independence from British rule. His design combined elements from the previous committees into one for which Thomson is credited. The elements chosen for this iconic design were carefully selected and have stood the test of time. 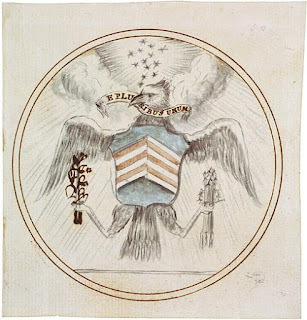 The shield represents the uniting of the thirteen colonies under one government- Congress. At the time we had not created the office of President. The eagle holds arrows in the right claw and an olive branch in the left claw. These are to symbolize Congresses power to make peace (olive branch) and war (arrows). 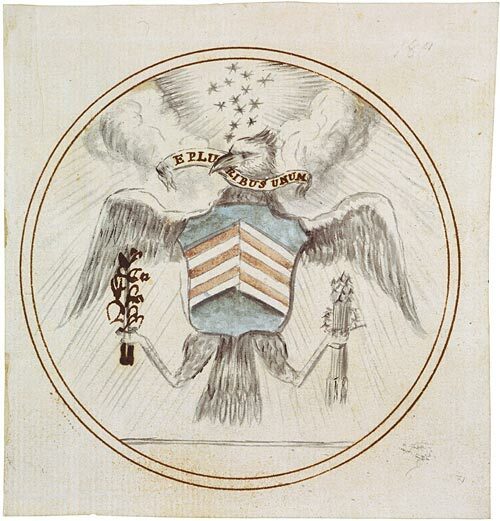 The thirteen stars above the eagle are representing the new colonies and those that would come later. The banner holds the Latin phrase, E pluribus unum – “From Many, One”. The message was clear among these members of Congress that we needed to unite as one entity, one nation. It comes as no surprise that this powerful symbol would soon appear on ceramics, bottles and military buttons. It would later be incorporated into the Presidential Seal and our nation’s currency. 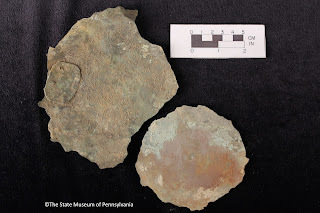 Archaeological excavations in the Philadelphia area have recovered several examples of our Great Seal, likely an indicator of the significant role Pennsylvania played in the founding of our nation and the incorporation this important symbol into our society. An archaeological investigation was conducted by Louis Berger & Associates in the late 1980’s for proposed ramp construction of I-95 in the area south of Penn’s Landing in Philadelphia’s historic waterfront district. 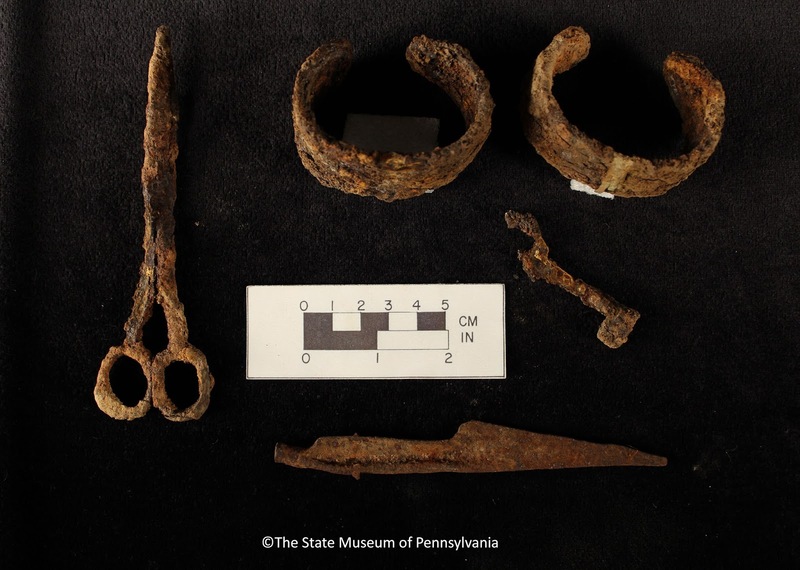 This site provided an opportunity for archaeologists to examine early consumerism, and colonial trade patterns. Identified as The Meadows Project, this investigation preserved the personal effects of tenants in an early working class neighborhood. Datable ceramics indicate that most of the artifacts recovered could be traced to the period from 1800 to 1870, although households would often contain “heirloom” ceramics. Archaeologists recovered several other examples of ceramics with the Great Seal symbol, an indicator of its popularity and significance. There are some slight variations to these depictions of the seal, but the basic symbolism of patriotism continues. The addition of a phrase- “Present for my Dear Boy” to the symbol provides an interesting reflection on its use to perhaps inspire civic awareness or patriotism. 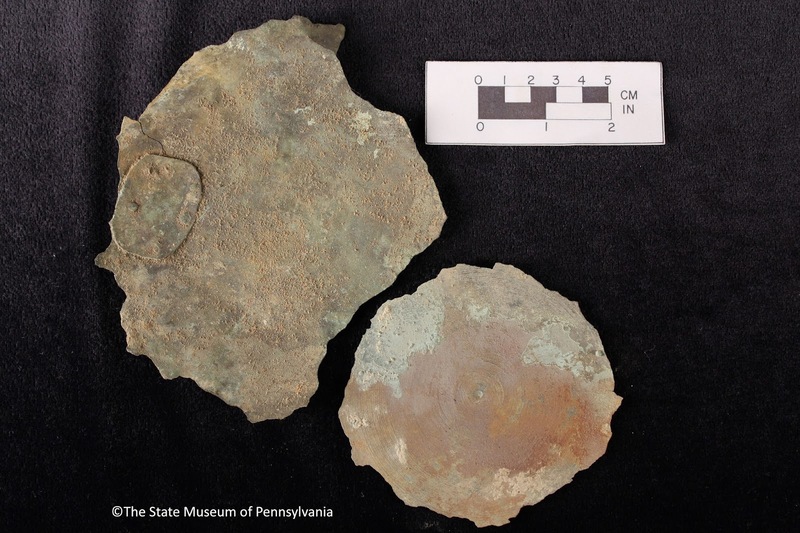 However you choose to reflect upon our Presidents, past and present, we can look to our archaeological heritage and the preservation of these symbols of patriotism and take pride in Pennsylvania’s role in the founding these United States of America- From Many, One.